1 Payzapp Scan Bharat QR Or mVisa QR Cashback Offer. 3.1.1 Offer period – 1st March To 31st March 2019. Update : Payzapp Scan And Pay Working On Zingoy So, You Can Buy Amazon/Flipkart At 10% Cashback Upto Rs.250 Every Month. Note : Minimum Transaction Value Must Be Rs.1000 As Per New T&C. Trick : Payzapp Option Is Not Visible At Payment Page In Case Of Amazon/Flipkart So, First Buy Zingoy Gift Voucher, Then Using Zingoy Gift Voucher Buy Amazon/Flipkart. Point 3 Contains All Gift Voucher Link. Offer period – 1st March To 31st March 2019. Cutomer having 1 Lac wallet (Full KYC) will be eligible for CashBack basis offer term & Conditions and can use it for all wallet transaction. It’s There While Paying LIC Online From LIC Official Website. Sorry For Late Reply. If I brought a zingoy gift card amounting Rs 50.. using bharat Qr via Payzapp..Then how much cash back I will get? only 5(10% as per this offer) or 10(10 cash back when you purchased min 25 via Bharat Qr) or total 15? Bro pay u now not showing bharat qr barcode…tell me how can i get this code nd i can pay?? U r saying that offer expire?? Bro do u have any tricks to get this Bharat qr code nd i will get this money?? Hey. How to use payzapp scan n pay. 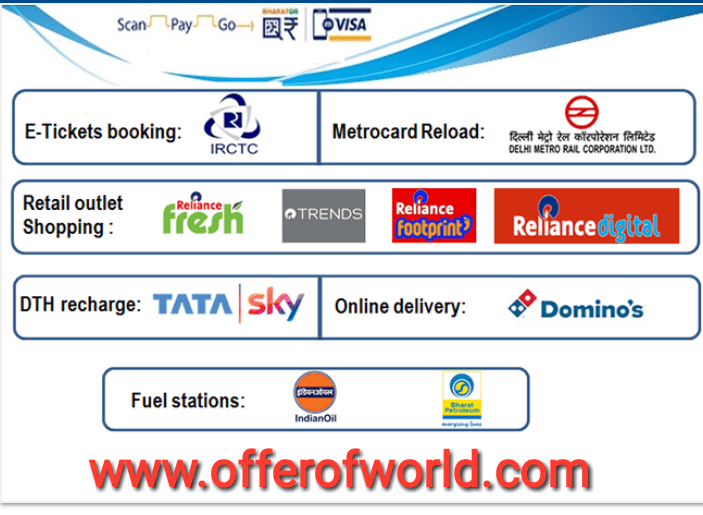 Which (gift voucher) merchant accepts BHARAT QR CODE.provide the list of merchants if possible. Buy Zingoy Gift Voucher Then Using Zingoy Gift Voucher Buy Amazon. PayzApp me bharat qr code ka offer hai usme bhim app ka bharat qr code chalega? You can’t make payment to BHIM App QR. Transaction Will Decline If You Try, Only Applicable To Merchant Payment. Rest Details In Article. I am not able to generate qr code on zingoy to buy 2500rs gv. As there is the offer of 10% upto an amount of Rs 250, hope will get the complete cash back. Please tell the steps of generating the qr code on zingoy. Use Zingoy WebsiteIn Desktop Mode. Working Fine For Me. Do Zingoy KYC If Still Getting Error. Trying purchase Zingoy GV for Rs. 5000 and generating Bharat QR Code. But, while making payment thru Bharat QR Scan to Pay at Payzapp App it is declined every time. I am not able to purchase GV due to Transaction Failed. Do Full KYC Of Both Payzapp And Zingoy, Use Payzapp Card For Making Payment In Scan Pay, 1st Load Money In Payzapp Then Try. 1.As per new February term & conditions is the Cashback available for payment done via payzapp card? 2. Second question is that now zingoy change 2% when pay via qr code. Now the new trick to avoid the 2% change any other payment website ?